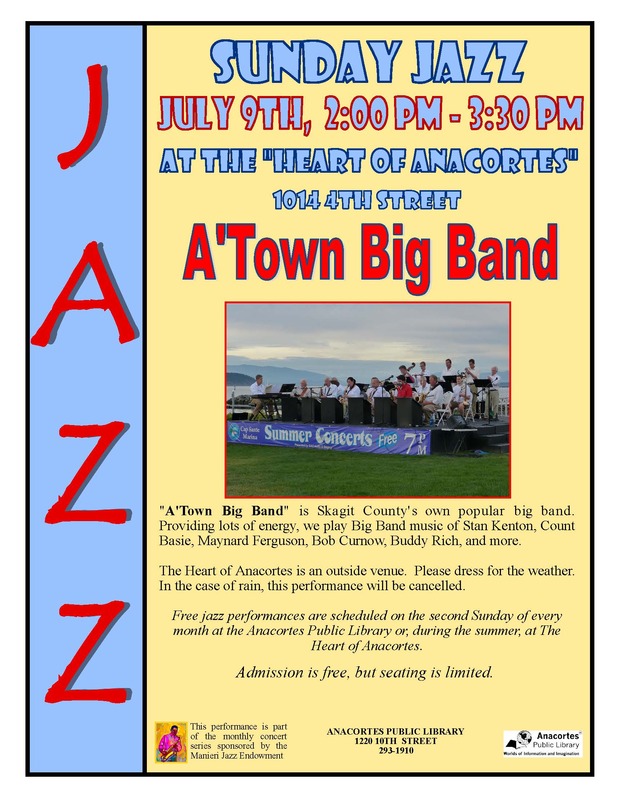 A’Town Big Band is Skagit County’s own popular big band. Providing lots of energy, they play the Big Band music of Stan Kenton, Count Basie, Maynard Ferguson, Bob Curnow, Buddy Rich, and more. The Heart of Anacortes is an outside venue, so please dress for the weather. In the case of rain, this performance will be canceled. Free admission. Part of the Anacortes Public Library Manieri Jazz Endowment.